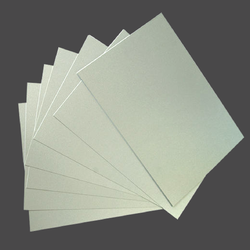 PVC Core Sheets are nothing but White Rigid PVC sheets with Matt finish on both the sides. 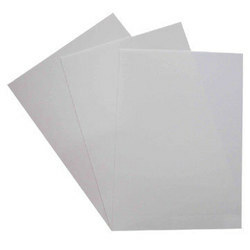 These sheets are used for offset printing ID Cards & Smart cards. 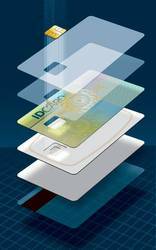 There fusability, printability & long life make them the best suited & most widely used material in the world for Smart Cards & ID Cards. 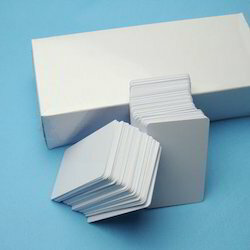 They come in thickness of 0.15 mm to 0.90 mm & are also used in making Sim Cards, PAN Cards etc. The standard sizes are A4, A3, 12" x 18", 12.5" x 19", 18" x 24", 19" x 25"
Keeping in mind the diverse requirements of our clients we are involved in offering a wide range of Offset Printable PVC Core. These are extensively used for printing ID cards, brochures, smart cards, and other stationery items. We offer these in all sizes, thickness, quality, and colors as per the choice of our clients. Moreover, these are available in market at pocket-friendly prices. With vast experience and knowledge we are involved in offering a premium quality range of PVC Core Stock. 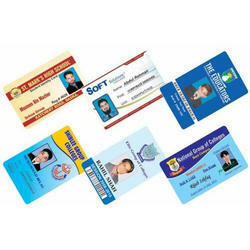 These are used for making ID cards are highly appreciated among our customers due to their excellent quality. Our quality controllers ensure their quality by testing them on various parameters to render maximum client satisfaction. Moreover, our products are available at pocket friendly prices. 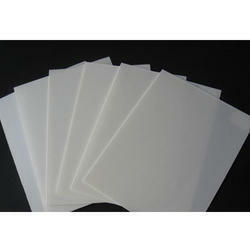 Being a client centric firm we are involved in offering an extensive range of PVC Core Sheets. These are developed using premium quality ingredients procured from authentic sources of the industry. 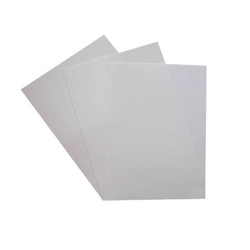 Offered sheets are widely used for manufacturing ID cards and are well known due to their excellent printable surface. Moreover, we also assure safe and timely delivery of our products. Being the leading names in the industry we are involved in offering a wide range of PVC Fusing Sheet. These are extensively used in developing ID cards and have perfect finishing. These are highly acclaimed among our clients due to their instant printability and superior quality. Moreover, we offer these in different thickness as per the requirements of our customers. To furnish the diverse requirements of our clients we are involved in offering an extensive range of Offset Printable PVC Sheet. These are widely used and are highly reckoned among our clients due to their excellent quality and long life. These are made using fine quality material which we sourced from the reliable vendors of the market. We also assure timely delivery of our products. Being a client centric firm we are offering a comprehensive range of PVC Core Films. These are highly appreciated among our clients due to their authentic quality and printability. 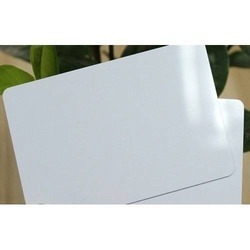 These are widely used for printing ID cards and are available in different specifications. In addition to this, we also assure to deliver our products in a committed time frame. We are enlisted amongst the reckoned names in the industry, offering wide range of PVC Core for ID Cards. Our entire product range is highly reliable in nature and is used for developing ID cards. Our products are known for their long life and printability. In addition to this, our clients can avail these in market at very feasible prices via easy payment modes. With rich industrial experience and knowledge we are involved in offering a wide range of PVC Core for Offset Printable Sheet. Offered sheets are extensively used for developing ID cars. These are highly acknowledged among our clients due to their perfect finishing and excellent quality. In addition to this, these give good output and are available at very affordable prices. 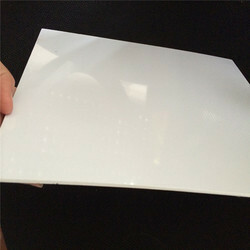 Looking for PVC Core Sheets ?